10% OFF NEW Silent Cat Camera Slider Models and Optional Accessories. 5% OFF RECONDITIONED Silent Cat Camera Slider Models and Optional Accessories. 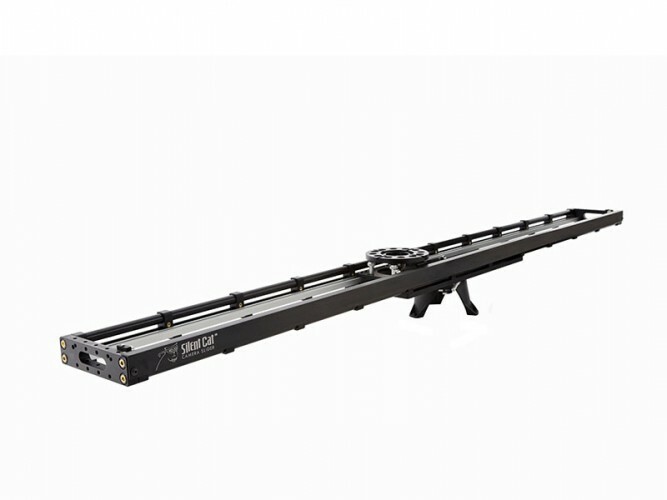 The Silent Cat™ 9000 Camera Slider is 107” long and allows a 95” travel. The Silent Cat™9000 is especially useful for camera movement in hard to get to locations i.e. attics, stairs, woods, the beach, car rigs, boat rigs, overhead rigs, etc. The Silent Cat™9000 can be mounted to a pair of Standard Mitchell Mounts by utilizing 9 mounting positions within its length. Additionally, you can support it with any stands that receive 2K or 750 studs, as well as any speed rail configuration that you want to custom build. 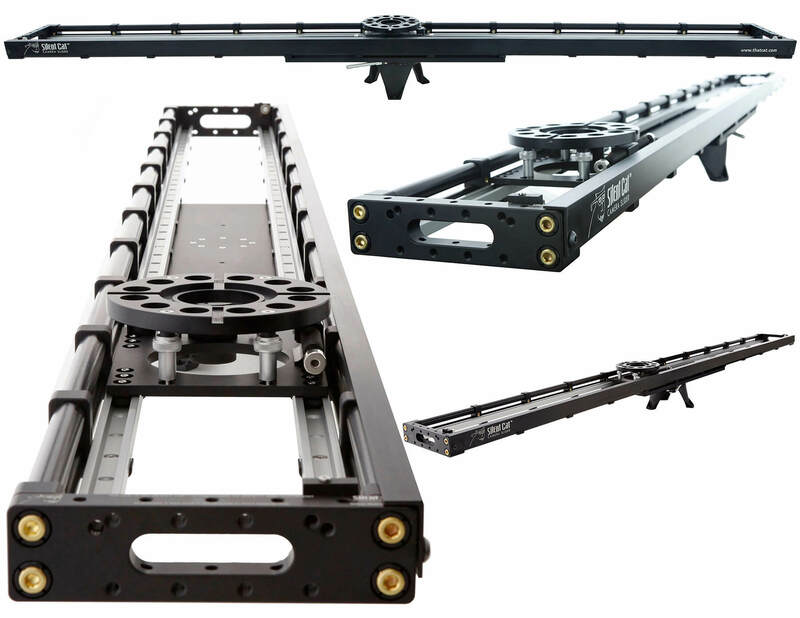 By utilizing the Silent Cat™ RIBS (Rigging Intermediate Blocks) you can rig and support the Silent Cat™ 9000 from any point within the frame of the slider. The Silent Cat™ 9000 utilizes Aurora LT Motion technology for remote operation. When used with the Aurora LT Remote Head the system is synchronized and managed by one controller. © 2019 That Cat Camera Support. All Rights Reserved.